The start of the NBA season has arrived. That means there are 82 games of meaningless dribbling between 15 teams and their chance to lose to the Heat on the way to another championship. Since the Heat are going to do all they can to secure a three-peat, there are likely a record number of teams who can only hope to land a good draft pick. And if you have the misfortune of being a Milwaukee Bucks fan, you get to watch your team stay snuggly in the middle, never winning or losing enough to get a star rookie. 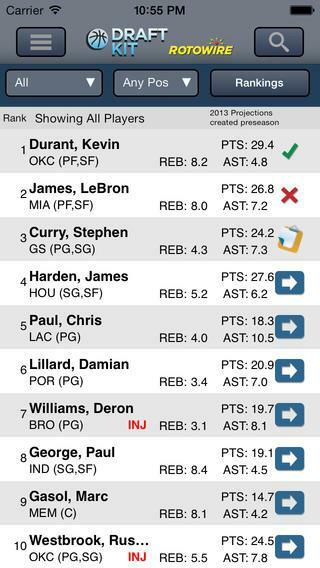 For those of you who can take the Heat, here are some of our favorite apps to track the 2013-2014 NBA season. The best way to take in all the NBA action this season is with the league’s own NBA Game Time app. Get alerted any time your favorite team or player does something worth watching (Bobcats fans, don’t expect many updates), get live stats from every game and video highlights as they become available. Plus, if you have a subscription to League Pass, you can stream games straight to the app. That way you can watch teams that are actually competitive instead of the sad excuse for a squad that your team’s GM assembled. Over the course of an 82 game season, there’s bound to be some games that you’re better off sleeping through than tuning in for. Nights where the big name players decide to rest for a more worthy opponent or games where shots just won’t fall. But then there are the moments that you don’t want to miss, and it can be hard to predict when those will happen. With TheScore, you don’t have to. 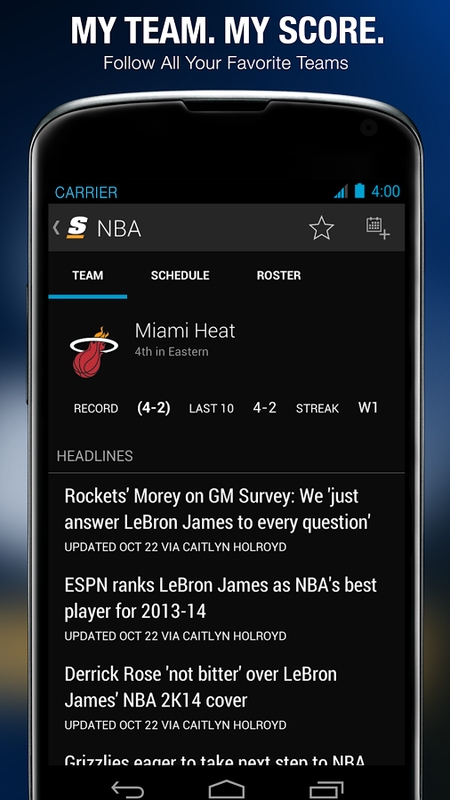 Set up custom alerts for moments in the game that matter most to you, be it a close game going into the final quarter or a newsworthy event that happened on the court – or, as happens sometimes happens in NBA games, off the court. It’s the best way to make sure you don’t miss those water cooler moments without actually having to sit through all the long stretches of uneventful stuff. The NBA, more than almost any other sport, as embraced advanced metrics for statistical analysis, perhaps because individual performance can affect the game much more than most sports. There are tons of ways to track just how good a player truly is outside of the number seen in the standard box score. For stats nerds that need to put an end to an argument about just how good a player truly is, Pro Basketball Pocket Reference should be your go-to app. Filled with data from all eras of the game, you can track down any information you need to prove your point. Now if the people who developed all these methods of tracking data just put that time in on the court, they might be making some stats worth following for themselves. Sometimes professional basketball isn’t as entertaining as we’d like it to be. Basketball often gets associated with the street ball version of the game, where players pull off incredible moves that are technically illegal but far more fun to watch. 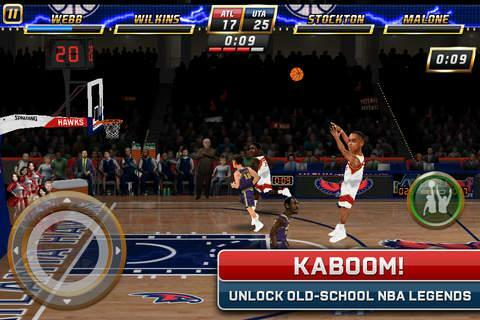 If you want the best of both worlds – NBA players partaking in ridiculous plays – with a bit of an old school flair to it, then NBA Jam is the game for you. Updated with current players and modern graphics but still blessed with the charm it had in the ’90’s, NBA Jam is a game that will appeal to casual fans and die hards alike. Because really, who doesn’t love a good “Boomshakalaka!” every now and then?